"Shoe-flower plant or China rose"
"[original caption] Hibiscus Rosa Sinensis (Roxb.)" In: Nature's Self-Printing. A Series of Useful and Ornamental Plants of the South India Flora. Taken from Fresh Specimens in Facsimile Colors. Mangalore. 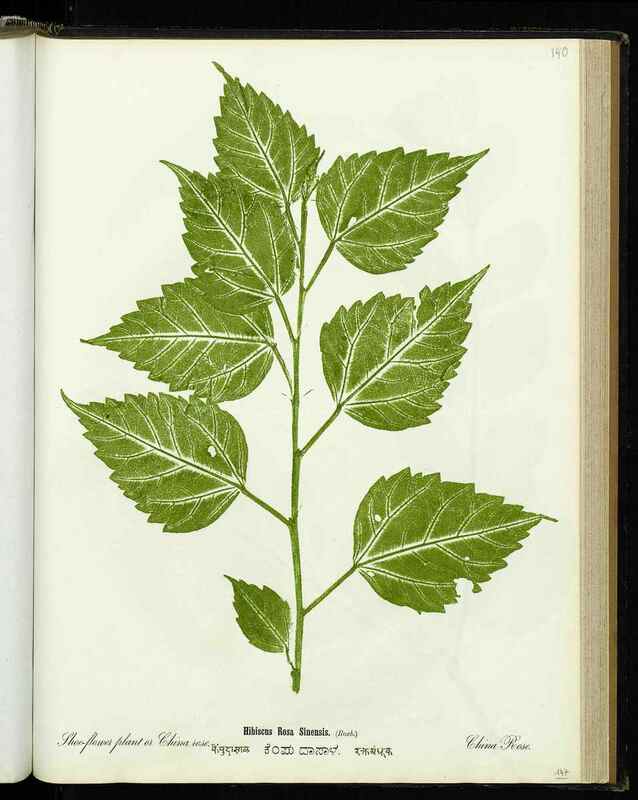 Botanautographed and Published by J. Hunziker. Basel Mission Press. Title: "Shoe-flower plant or China rose"
Hunziker, Jakob (Mr) , “Shoe-flower plant or China rose,” BMArchives, accessed April 19, 2019, http://www.bmarchives.org/items/show/100210316.